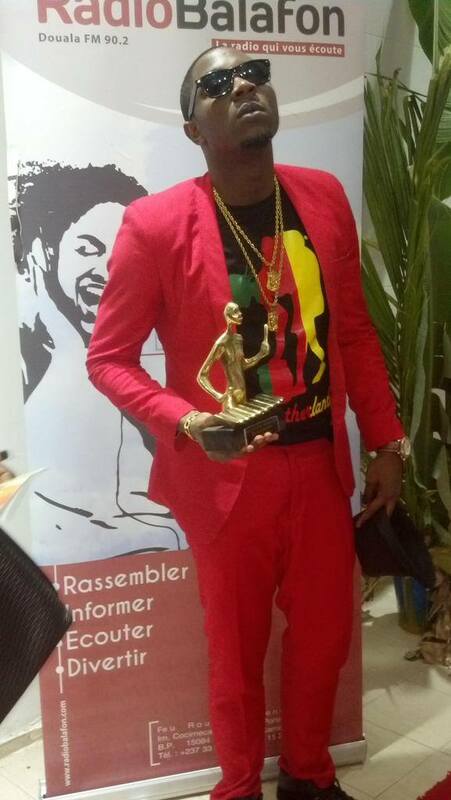 THE AWARDS RAIN FOR STANLEY ENOW! 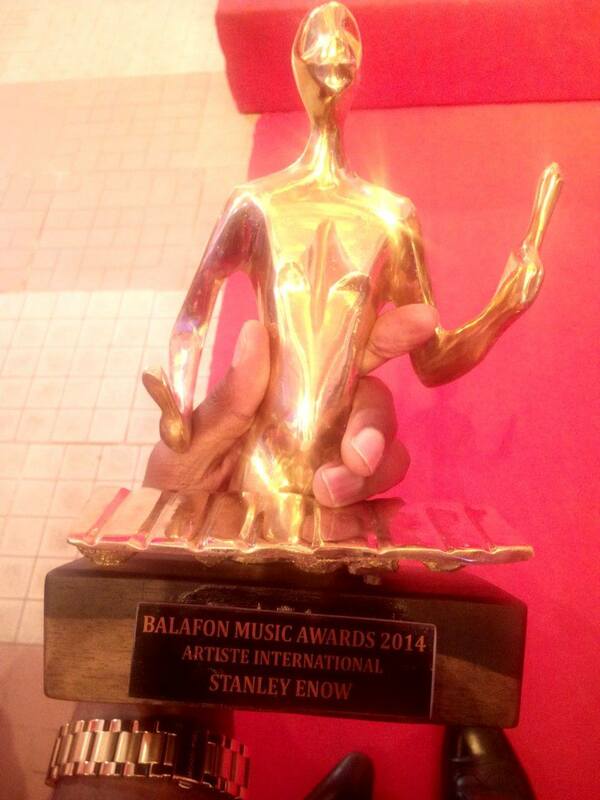 It is always a delight and a great recognition to be recompensed for the hardwork and dedication that is shown and this is so for Stanley Enow who this morning is rejoicing yet again for another win at the Balafon Music Awards where last night he scooped the Best International Artist 2014 price! Dressed gallantly in a red suit and Cameroon flag Motherland tee shirts, the international starboy dedicated his win to “les gars du mboko” those on the streets who he represents in a struggle that is seeing him prove that hardwork and determination is all it can take when one has a talent to bring themselves back up in life. The starboy has another reason to celebrate as his official Facebook fanpage got the blue tick which makes him one of the first Cameroon based artist to get this. It is indeed celebrations all around in our camp today! Here below are a few first pics taken by Radio host Bonas Duvalier and Martin Enow. Next PostNext CATCH CIANA ON BBC AFRIQUE!